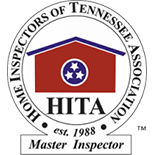 At Safety 1st Home Inspection in Knoxville, we are dedicated to providing you with as much information about your new home as possible. Whether you are a home buyer or a seller, it is important to have as much information about your home as possible. Contact us today for an appointment or for more information about our services. We would love to help. We are professional, licensed home inspectors who know how important it is to have the clearest possible picture of a home before you buy or sell. Without an inspection, you could potentially overpay for a home that may need a great deal of work. It can difficult to know what to look for when you consider listing your home for sale, or when you are looking for a home to buy. A licensed home inspector takes every detail into account — from the condition of the sidewalk to how well the air conditioner runs — in order to provide you with a report that helps you determine what your next step should be. Help you understand the severity of any problems in a house before you buy or sell. Help you and your real estate professional set the right price for your home. Help you negotiate a lower price when you are trying to buy. If you have questions, or you are ready to schedule an appointment for your home inspection, call Safety 1st Home Inspection in Knoxville. In addition to seller and buyer home inspections, we also offer a wide range of services that cover everything from radon testing, to well water sampling, to mold testing and analysis.